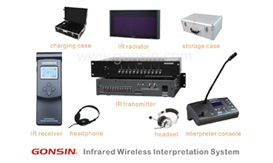 GONSIN TC-904/906/908/912 infrared wireless interpretation system is designed to offer language ditribution in 4/6/8/12 channels for simultaneous interpretation using the advanced infrared light transmission technology. 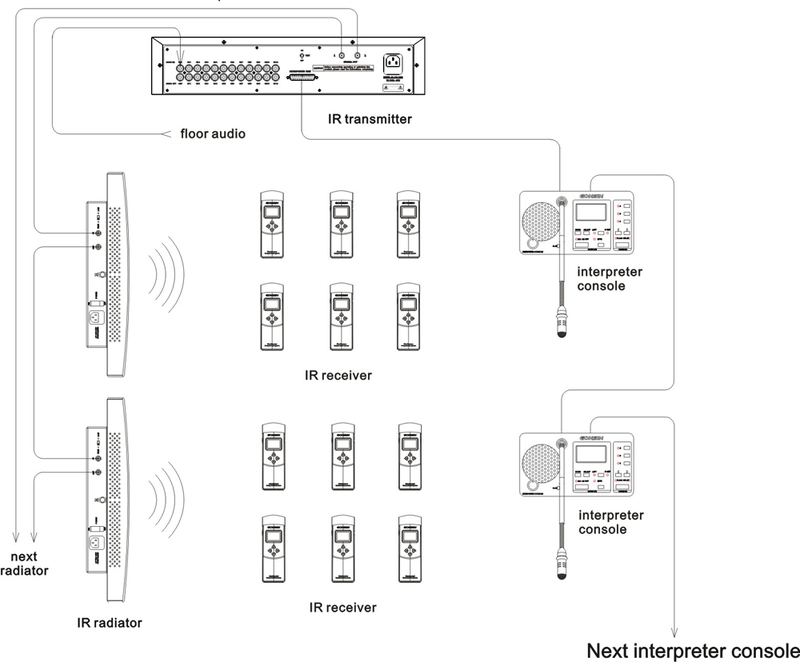 As the central element of the system, the infrared transmitter interfaces with the conference system, connects interpreter consoles and infrared radiators which transmit audio signals to wireless multi-channel receivers for the delegates to hear the language of their choice via personal headphones. 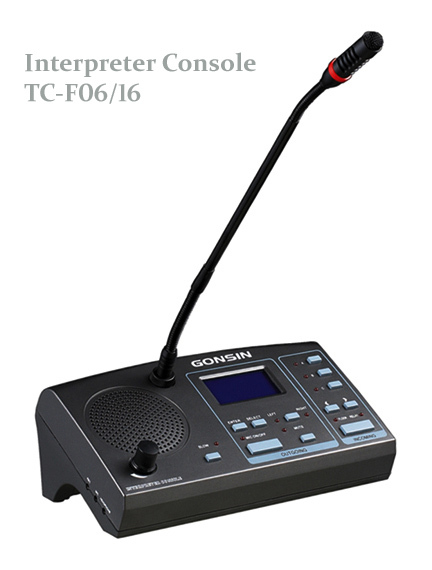 Operating in the 2-6MHz frequency band (IEC61603 BAND 4), the system is immune to distortion from hall lighting and free from radio interferences, ideally suited for use in business and government conferences, international conventions and other multilingual applications. 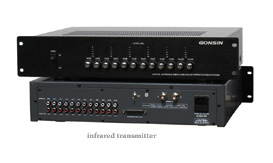 The TC-Z904B/Z906B/Z908/Z912 infrared transmitter is a microprocessor based central unit which is designed to modulate and transmit 4, 6, 8 or 12 audio channels to different carrier frequencies. 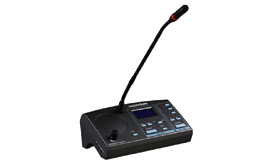 It features independent channel level control, independent channel output level indicators, and independent channel audio output sockets for sound recording. Test mode produces a different frequency tone for each channel. Two BNC sockets can link up infrared radiators in two lines. 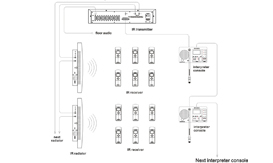 A transmitter can connect multiple interpreter consoles in a daisy chain. 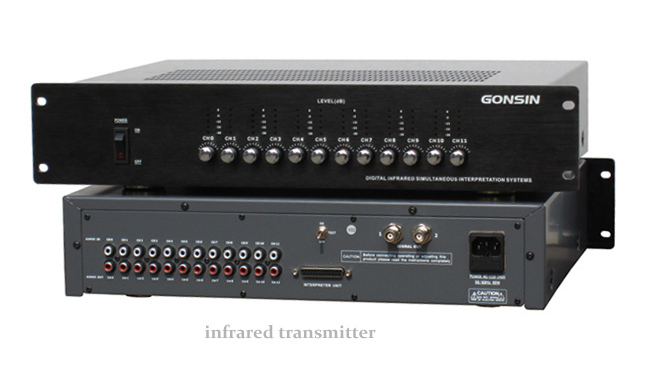 The portable TC-J904LC/J906LC/J908LC/J912LC infrared receiver is designed to receive 4, 6, 8 or 12 audio channels. The optical lens offers 270° wide angle to pick up the infrared light signal. 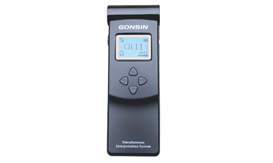 The selected channel number, volume level, battery level and signal strength are displayed on LCD screen. 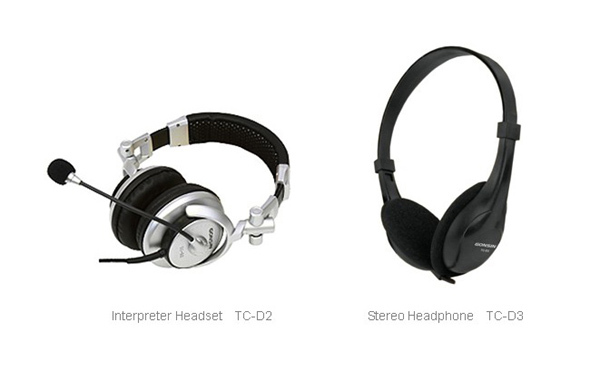 Volume level can be adjusted through left/right buttons for comfortable listening. 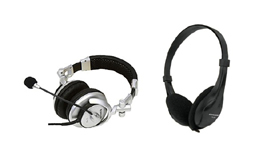 The receiver will be automatically switched off in 5 minutes after the headphone is plugged out. 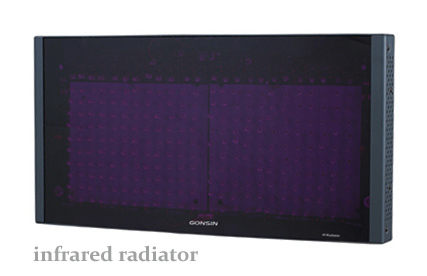 Any number of receivers can be used within the radiator’s effective coverage range in an installation. The receiver is powered by a rechargeable Lithium-ion battery pack with up to 500 operating cycles. The TC-H25/H35 high power infrared radiator can be switchable to 50% low power, making it suitable for use in larger halls and smaller rooms. The radiator is automatically turned on and off by the transmitter signal. 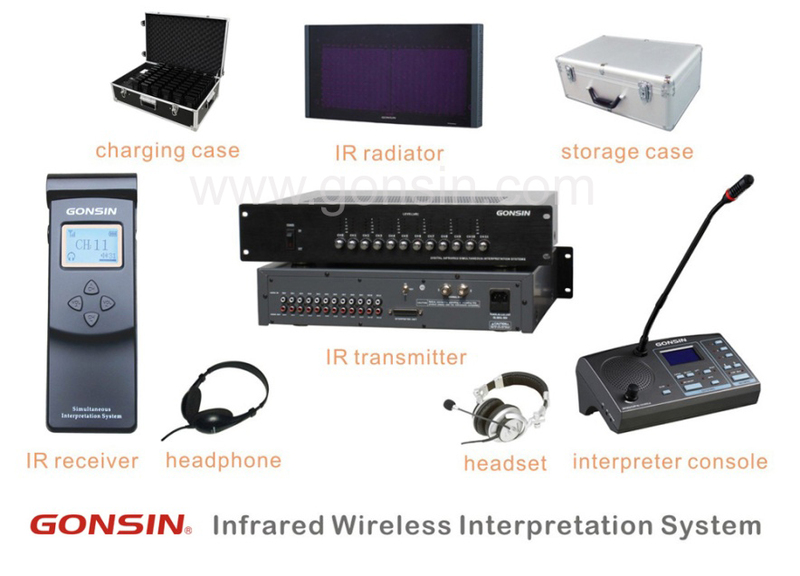 It is equipped with automatic gain control to ensure the infrared diodes function with maximum efficiency, and is naturally convection cooled for totally silent and maintenance-free continuous operation. 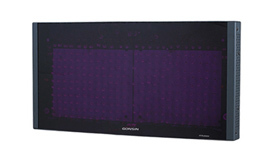 It can be ceiling or wall mounted for permanent installation, or set up on an optional tripod for portable application. Multiple radiators can easily be daisy-chained together to expand coverage. 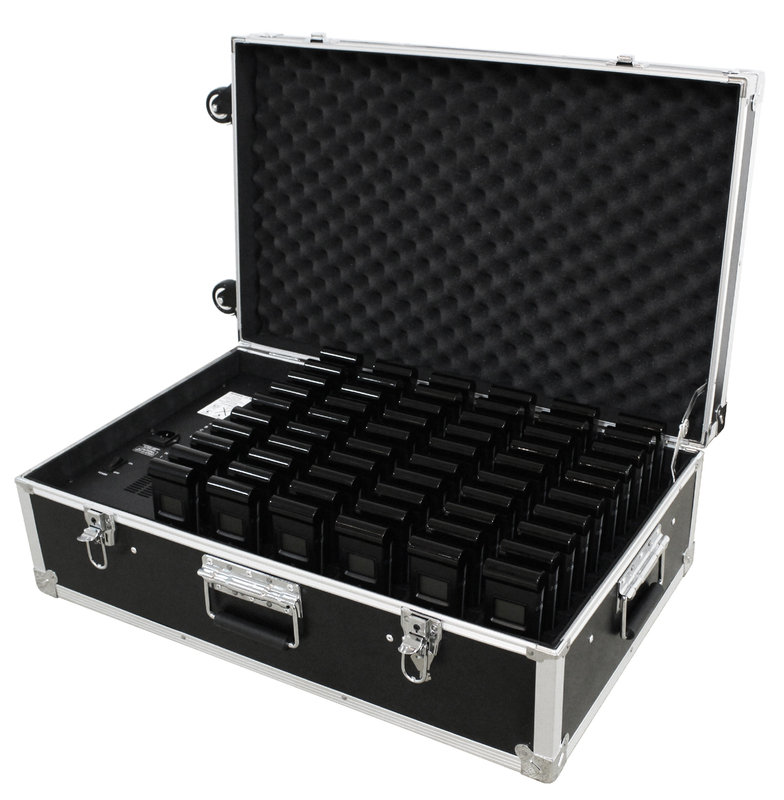 The unit is easy to maintain and clean, with IR emitting diodes protected by the cover plate.